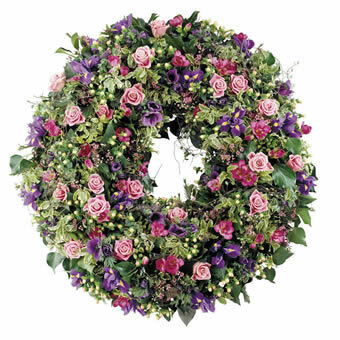 Funeral wreath in pink & purple shades. Deepest feeling of compassion and softness. This elegant funeral wreath conveys tenderness and consideration through romantic pink roses and freesias as kisses among green.